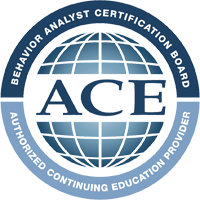 This training program is based on the Registered Behavior Technician™ Task List and is designed to meet the 40-hour training requirement for the RBT® credential. This 40 hour training addresses all RBT® task list items and RBT® guidelines for professional conduct. The program is offered independent of the BACB®. For a list of all topics covered in this training, see the FAQ below to download our course overview. This 40 hour training addresses all RBT® task list items and RBT® guidelines for professional conduct.